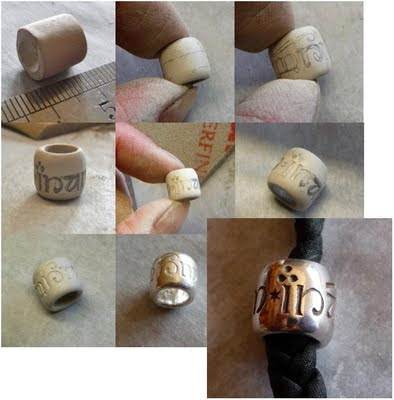 The ring I mean is the one with the beautiful inscriptions which played such a big role in Tolkien’s “Lord of the Rings”. After the firing patina was applied and the final polish brings out the special symbols! One is caught up in the magical world of Middle Earth when looking at this ring. What a gorgeous bead, Ingrid! Hi, visiting from Marie's blog. That is really pretty and just plain cool. Take care.